Applications to the conference will be accepted between October 15, 2018 and February 15, 2019. Acceptance is based on the strength and promise of the writing sample and on the Admissions Board's judgment that the applicant will benefit from the conference. Two workshops will be offered in poetry; one in fiction; and four in creative nonfiction. Acceptances will be made on a rolling basis and applicants will be notified whether they have been admitted approximately four to six weeks after they apply. With rolling admissions, those who apply early increase their chances of acceptance; therefore, we encourage you to apply early. N.B. : Applicants submit their top choices for workshop leader upon acceptance to the conference, noting it on the confirmation form. Participants are then assigned to a workshop based on our commitment to giving all attendees one of their choices. Participants take part in a workshop and receive feedback on their writing. Acceptance is based on the strength and promise of the writing sample and on the Admissions Board's judgment that the applicant will benefit from the conference. Along with the online application, participant applicants submit a writing sample in the genre in which they are applying (the writing sample can be work that is published or unpublished). See the Manuscript Guidelines for important details. The fee for participants is $2,380, including tuition, room, and board. Auditors attend the workshop without a manuscript. Auditors do not submit a manuscript for review and do not receive an individual manuscript conference with the instructor. Auditors are assigned to a workshop and, as the name implies, are asked primarily to listen and observe during manuscript critiques. Outside of the workshop, auditors participate in all aspects of the conference including the daily readings, lectures, craft classes, receptions, and social events. Acceptance is based on the Admissions Board’s judgment that the applicant will benefit from the conference. The auditor application is submitted online, and a writing sample is not required. The fee for auditors is $2,025, including tuition, room, and board. Thanks to support from the Katharine Bakeless Nason Endowment, the Michael Collier Endowment, and Middlebury College, the conference is making available a limited number of $500, $750, and $1,000 scholarships as well as at least three full scholarships. The intent of the scholarships is not only to support promising emerging writers but to broaden the community of nature and environmental writers to ensure that nature and environmental writing as a genre represents the relationship between people and nature regardless of race, ethnicity, geography, or socioeconomic standing. In addition in 2019, we are pleased to announce a full scholarship including a travel stipend of $500 made possible by The Rona Jaffe Foundation. This new scholarship will be awarded to a woman in early career who has not attended Bread Loaf in the past and also meets one or both of the following criteria: an applicant with a nontraditional literary background, who is working outside of academia with or without a writing degree and/or an individual who is in particular need of financial and creative support. Candidates must be permanent residents of the United States, and writers who have published a book (a standard trade edition of their work) are not eligible for this scholarship. All financial aid applicants who meet the criteria as described above will be considered for this new scholarship. A financial aid section is included near the bottom of the regular application for the conference. Applicants interested in applying for financial aid should complete that short section and submit a statement of 500 to 800 words to be considered along with the strength and quality of the application itself. Those applying for a scholarship are asked to describe how their participation in the conference will add diversity to the community of voices concerned with nature and environment, and also addressing their financial need. Though the merit of the application carries the most weight, the applicant’s financial aid statement is also considered. Middlebury College Student Scholarship applications are accepted online and must be submitted by March 1, 2019. (Please note that an application fee is not required for this particular application.) These scholarships are available for current undergraduate students of Middlebury College. In 2019, we are pleased to note that recent alums (graduation years 2017, 2018, and February 2019) are also invited to apply for the Middlebury Student Scholarship.The scholarships are awarded based on the quality of the work submitted. 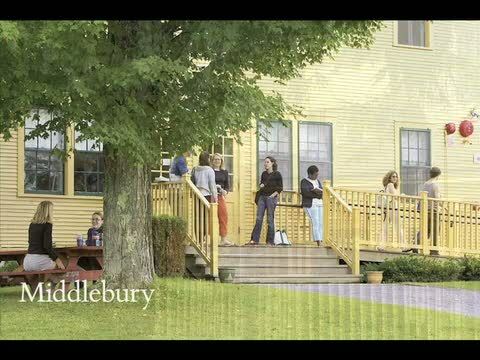 Middlebury College student scholarships cover tuition, room, and board at the conference ($2,380). Thanks to a generous contribution from the Middlebury College Environmental Studies Program and the Franklin Environmental Center, the Middlebury Student Scholarships for the Bread Loaf Environmental Writers' Conference will also include a $500 travel stipend. Bread Loaf uses the Submittable online application program. Applicants who already have a Submittable account in place will be asked to login; those new to Submittable will be prompted to set up a free account before accessing the application. There is a $20 application fee due at the time of submission.